Welcome to the 86th episode of Our Hen House, featuring Jess Scone (of Vida Vegan Con, Get Sconed, and Stumptown Vegans), Chelsea Lincoln (of Flavor Vegan), and 6 1/2 year old lifelong vegan, Ruby Bird Hooten. In today’s episode, Jasmin will give us the vegan skinny on her trip to Portland to speak at the Vida Vegan Bloggers Conference. She’ll tell us all about the food she devoured, the activists she crushed on, and the town that took wonderful care of her as Mariann stayed behind to batten down the hatches, thanks to Hurricane Irene. Joining us today are three very special Portland guests: First, Vida Vegan Con co-organizer Jess Scone will give us an inside glimpse into what it was like organizing this powerhouse event. She’ll also tell us all about her projects: Vida Vegan Con, Get Sconed, and Stumptown Vegans. Then, blogger Chelsea Lincoln, from Flavor Vegan, will chat with us about everything from how to handle animal lovers who aren’t (yet) vegan, to her thoughts on fat acceptance. Our third guest is a very special and incredibly smart little girl. Six-and-a-half year-old Ruby Bird Hooten (of Herbivore Clothing, by association anyway) has been vegan since birth, and will share with us her thoughts on everything from not eating animals, to why she loves her dog, Sassy, to the secrets of making a delicious salad. 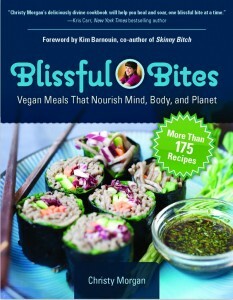 For our review, we’ll give you our thoughts on Christy Morgan’s new cookbook, Blissful Bites, which just hit bookstore shelves. This book is aptly titled, and has quickly become one of our go-to cookbooks. Learn why. 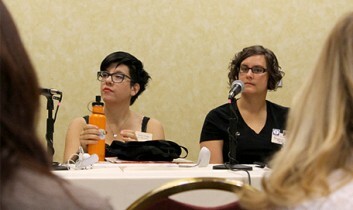 Photo at top of blog: Jasmin Singer and co-panelist Webly Bowles (of Stumptown Vegans) presenting a Podcasting 101 workshop at Vida Vegan Con. Photo by JL of JL Goes Vegan. This was such a great episode! I've been writing my VVC recaps all week and it seems so long ago.This show took me right back and reminded me that, yes, it was as wonderful as I thought it was! :) I loved your interview with Chelsea! I'm hoping she will do something with my community blog Stop Chasing Skinny. Thank you for featuring her! Loved the interviews and news recaps. Had such a lovely time meeting you and so many special people at VVC. I never wanted it to end and really wish you lived closer!! I love what Mariann said about how vegan food blogs can be a form of activism and sometimes not. Thanks for reviewing Blissful Bites! SO happy you like it! My nearly-6-year-old vegan kiddo loved the interview with Ruby Bird Hooten. They would totally be BFFs if we didn't live on opposite ends of the country. Thanks for bringing us the joy of listening to her interview! I didn't go to VVC, but reading about it and seeing the pictures has still been awesome and inspiring. Also, Ruby is now my favorite vegan. Mariann I Like your name too. Jasmin it was very nice to meet you. Not just in Portland as you say, our incredible belts are available all over the country and soon the world... bu-wah ah ah! We're so thrilled cause finally we have a REAL vegan belt- no glue, no stretching, last forever, wicked cool. 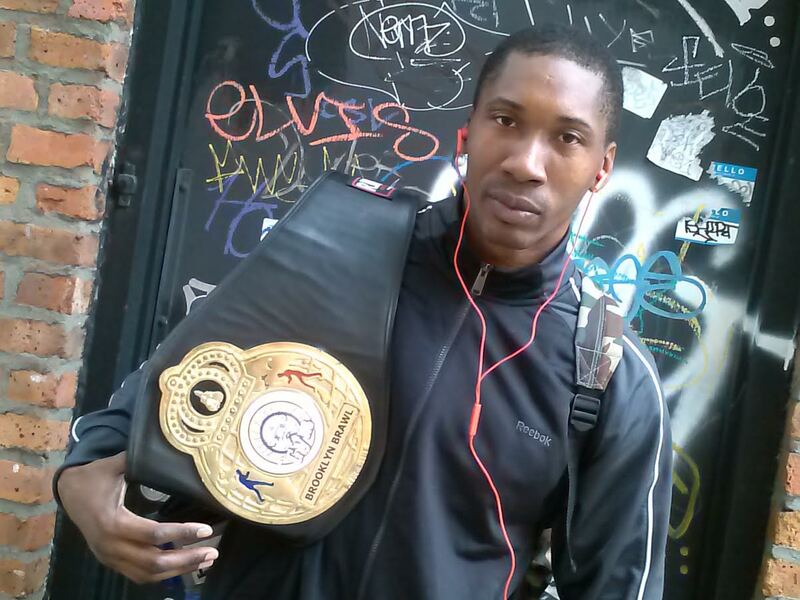 On the webs http://m3house.org/HELD/ or http://StrongestBeltsInTheWorld. Cool to hear my work on my favorite show! Thanks.